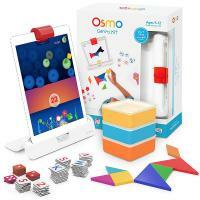 Osmo is a magical award-winning game system, it fosters creativity and problem solving skills through hands-on play. 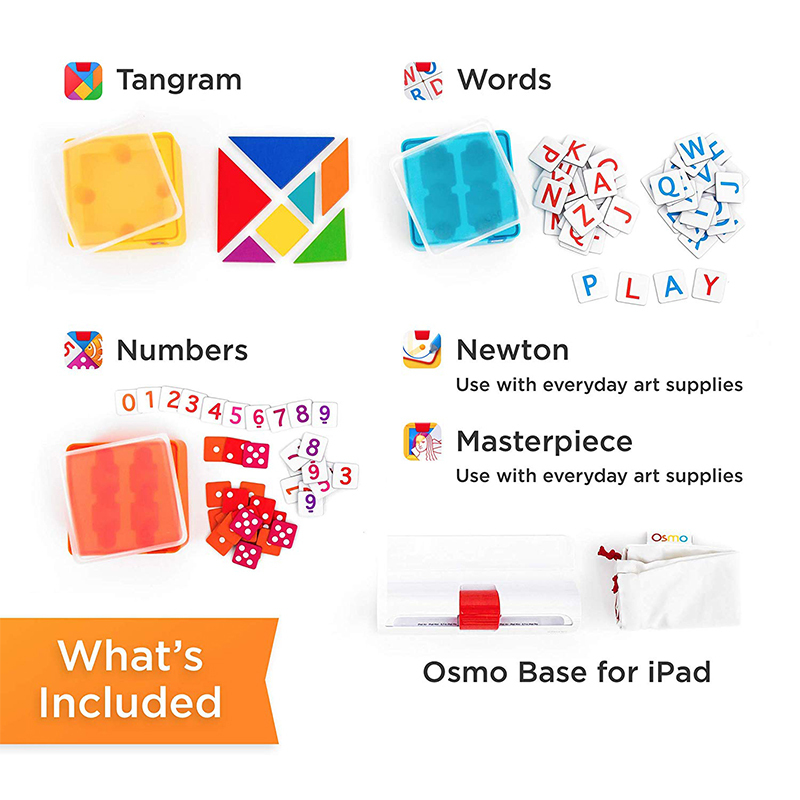 The Genius Kit includes 5 fun games and the Osmo game system (compatible with other Osmo games not included in this kit.) 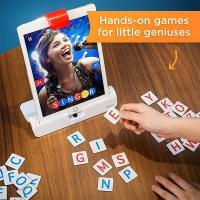 Compatible iPads: iPad 2, iPad (3rd Generation), iPad (4th Generation), iPad (5th Generation), iPad Mini, iPad Mini 2, iPad Mini 3, iPad Mini 4, iPad Air, iPad Air 2, the 9.7-inch and 10.5-inch iPad Pro. 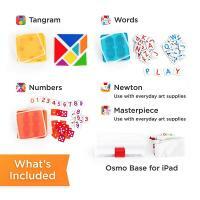 Playing Tangram is a great way to exercise spatial and visual problem-solving skills. 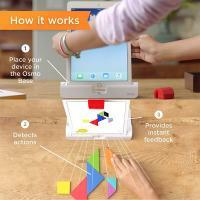 Start thinking with shapes!